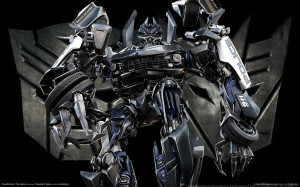 Man Accused Of Impersonating A Cop For Painting His Car To Look Like Transformer. I’m sure we all agree that most of the cars in the Transformers movies are badass. Well one man wanted to make his new Maserati look just like the police cruiser one in the films and now is facing charges of impersonating a police officer. The lawyer, Attorney Russell Matson, is representing the Massachusetts man and calls the allegations and charges against his client “silly.” He attests that his client “never pretended to be a cop” and apparently he even informed the police in advance that he was going to decorate his car to look like the police cruiser character, Barricade, from the Transformers movies. The client’s name has not been released at all yet, but the Maserati itself looks awesome. It is painted black and white and has a police-style shield on the doors. Aside from the police related decals, one would be easily able to tell that the car was not a cop car. I mean it says “Decepticons punish and enslave” on the side of it for crying out loud. I hope this guy doesn’t lose this case. He was pulled over on August 9, but was not arrested. He is summoned to appear in court on September 4.